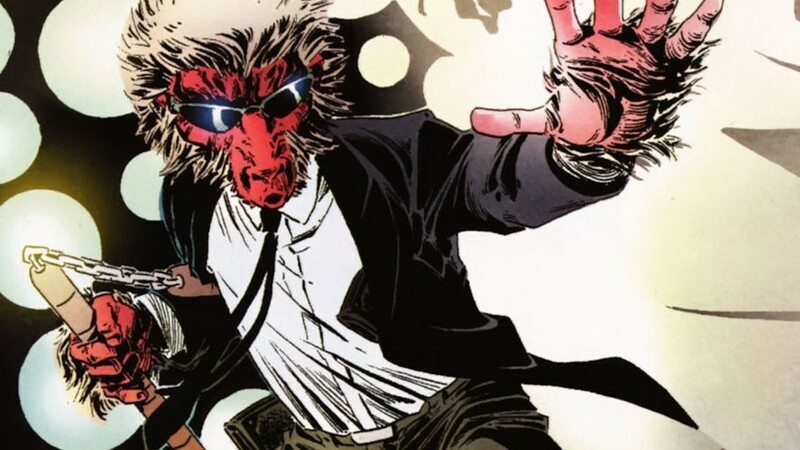 Kevin Smith may be working on Howard the Duck for Hulu, but that’s only the tip of the iceberg as far as Marvel Hulu goes. There are actually three more animated series coming to the streaming service, and they are all set to team-up down the line to form The Offenders. 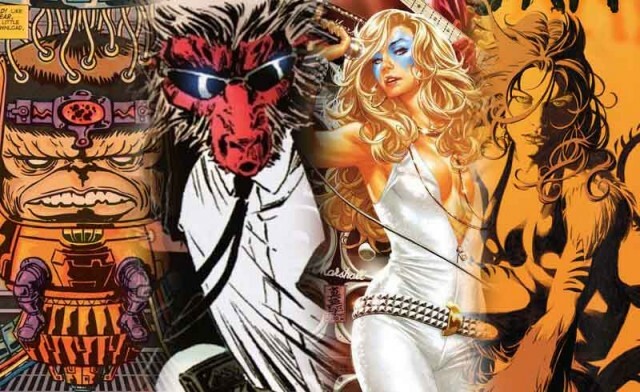 According to Variety, the three other animated Marvel series are MODOK, Hit-Monkey, and Tigra & Dazzler. 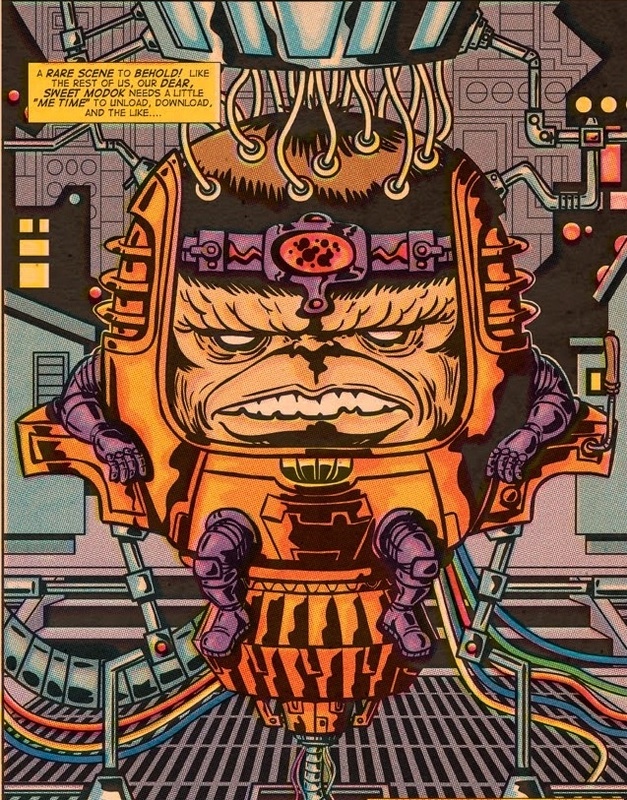 The series will focus on Marve’s favorite giant head MODOK (Mental Organism Designed Only for Killing) as he tries to run an evil organization while meeting the demands of his family. The show will be written by Jordan Blum (Community, American Dad) and Patton Oswalt, and I’m assuming that Oswalt will also be providing the voice of the main character. Hit-Monkey will tell the story of a Japanese snow monkey who was trained by the ghost of an American assassin and is based in the Tokyo Underworld. The show is described as a “brutally funny revenge saga” and will be run by Josh Gordon and Will Speck (Blades of Glory). “A giant head. A monkey. A tiger lady and a disco queen. And the duck. Brought together because no one else could but Marvel Television on Hulu. M.O.D.O.K., Hit Monkey, Tigra & Dazzler and Howard the Duck will form a team no one asked for -- The Offenders (and wait until you see who the Team Leader is!)! We have such tremendous talent bringing amazing adult animation that's fun, fresh and fantastic. We're so excited for what's to come! Seeing that Marvel Netflix just canceled their Defenders universe, we don’t really know how to think about this world of animated Marvel series. While it does have the potential to be good, I guess I’m just waiting for some more info before I get excited. The names attached are pretty talented though, and I hope they manage to get us a first glimpse before the year ends. No release date has been announced for Marvel Hulu’s The Offenders.